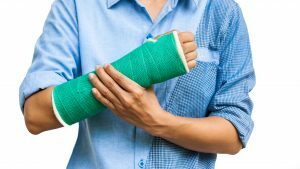 Take care of yourself by letting us take care of your personal injury case. At William Taylor Payne and Associates, we have the skill, knowledge, and passion to provide the aggressive representation you deserve. Due to our experience and proven track record in this area of law, we are confident in our ability to handle serious injury cases. In fact, we are willing to risk our own money to do it. Our most recent high settlement was $1.2 million. If you or a family member has been seriously injured, or someone has died due to wrongful death, it is extremely important for you to retain an experienced attorney to review your case. Before you make a statement to an insurance company or sign any papers, contact us for a free consultation. Our attorneys aggressively seek the ideal outcome for your case. In addition to offering zealous legal representation, we always provide the courteous attention and personalized support you need. Most importantly, we recognize that every case is different; and so are our clients. Everything matters to us. Allow us to handle the details and cater to all of your legal needs. We understand that you’ve been through enough already. There’s no need to pay money up front when you are suffering from an injury. All personal injury cases at our law firm are handled on a contingency basis. So, you never owe a fee unless or until your case is resolved. This gives you peace of mind and relieves any financial concerns you may have. You deserve more than an experienced attorney. You also want one that is compassionate and attentive to your needs. When providing a free consultation, we take the time to listen to you, address your concerns, and discuss your legal options. Don’t settle for anything less than you deserve. Come to a team of personal injury attorneys that are caring as well as accomplished. Contact us to schedule a free case consultation if you or a loved one has been injured in an accident. We proudly serve clients throughout Decatur and Atlanta, GA, as well as the nation.